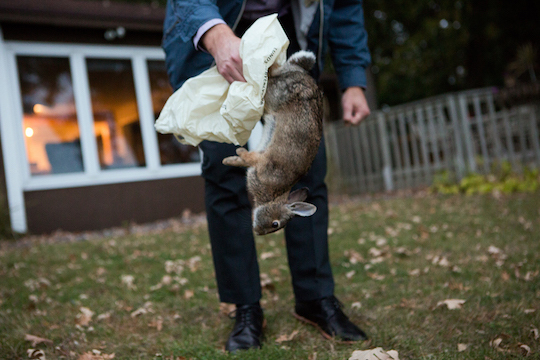 Bryan Sleeper picks up a dead rabbit in the yard before leaving for work on Oct. 6, 2015. Please note: This course is offered in an online format and will not physically meet at CDS but will have regularly scheduled virtual sessions. The class will be conducted online. A late-model computer, fast internet connection, and built-in camera are recommended, though not required. Students with less than optimal hardware or internet connections are welcome to take the course, though it may be difficult to participate fully in virtual meetings. Class will be held in four sessions: Monday and Tuesday, September 11–12, and Monday and Tuesday, September 25–26.